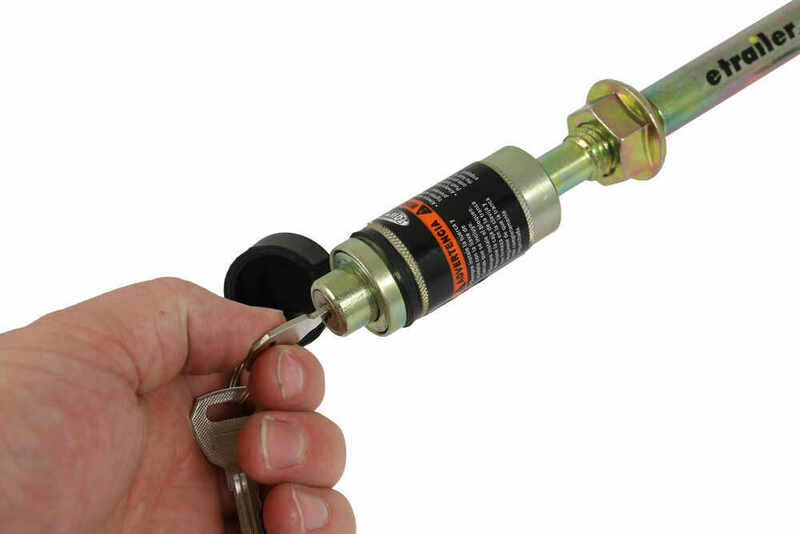 Tow Ready J-Pin locking anti-rattle device for 2" trailer hitch receivers. 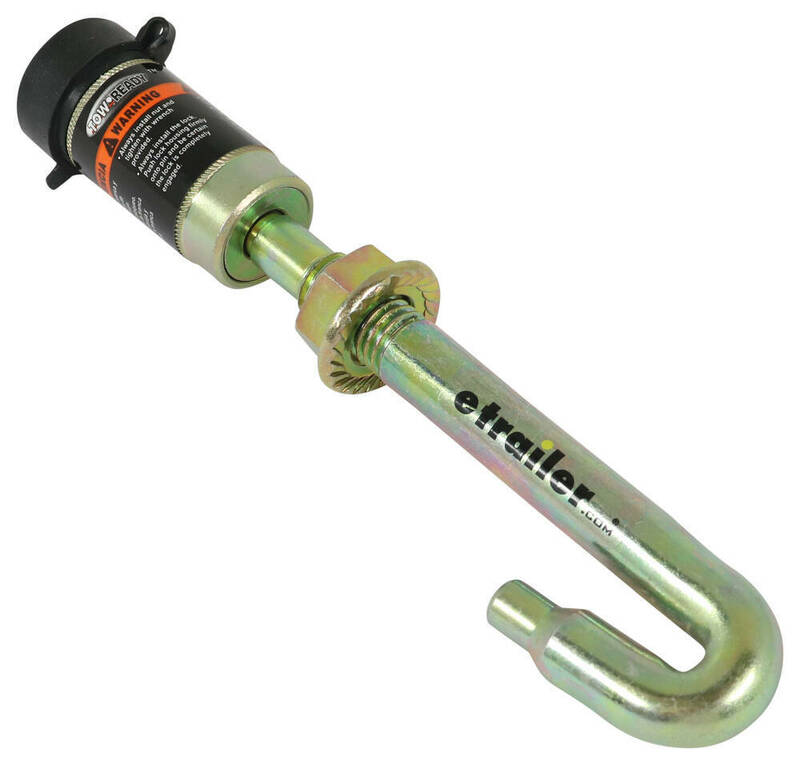 Call 800-298-8924 to order Tow Ready hitch locks part number 63201 or order online at etrailer.com. Free expert support on all Tow Ready products. 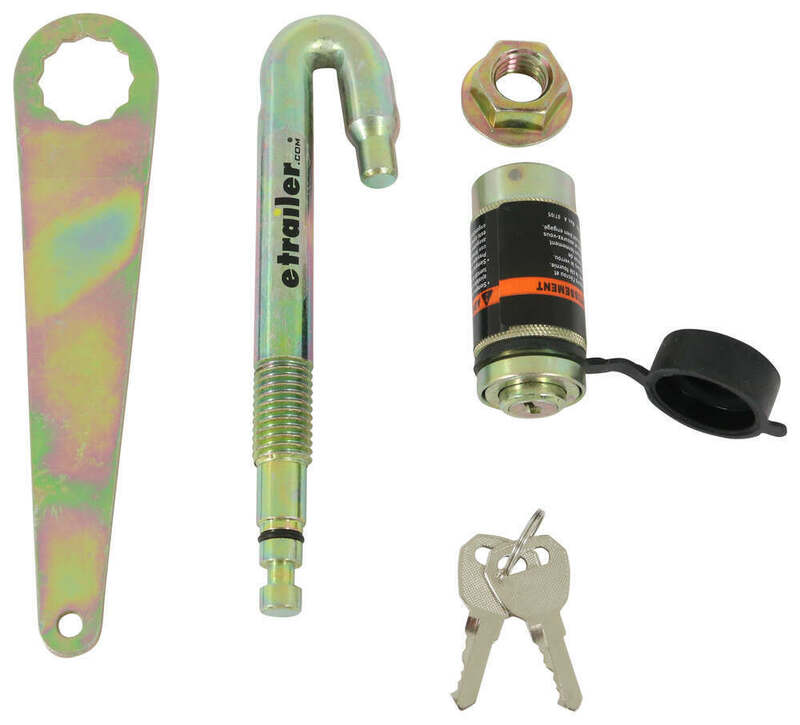 Guaranteed Lowest Price and Fastest Shipping for Tow Ready J-Pin Stabilization Pin and Barrel Lockset for 2" Trailer Hitches. Hitch Locks reviews from real customers. 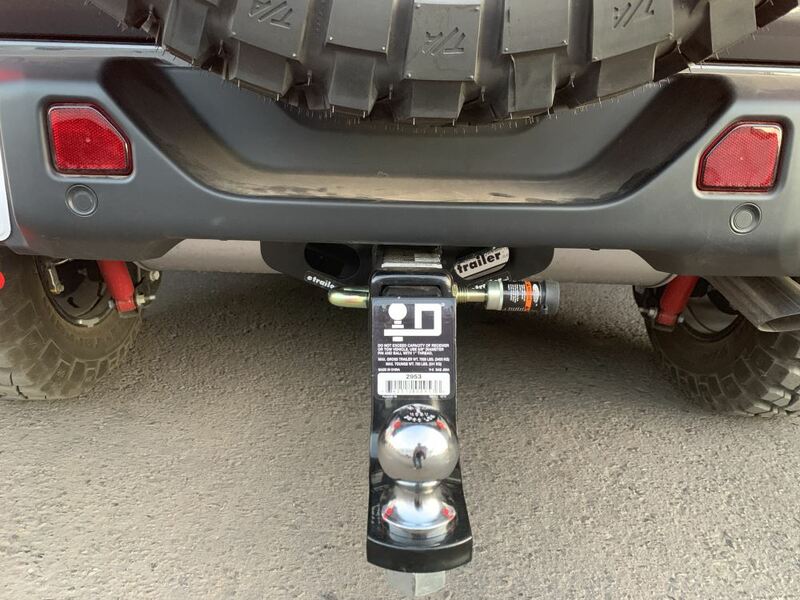 Tow Ready's J-Pin quickly and confidently secures ball mounts and other hitch mounted accessories, eliminating the sway and rattle caused by necessary part clearance issues. Today we're going to be taking a look at part number 63201. 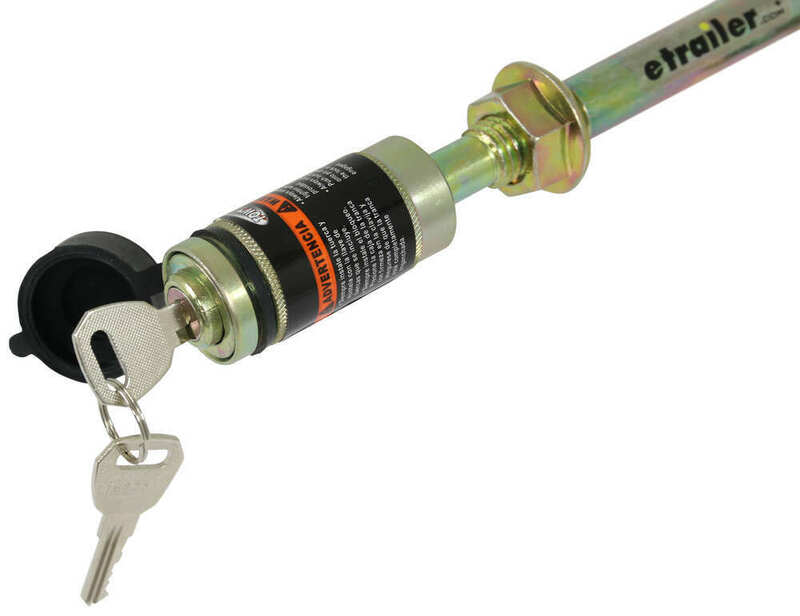 This is the Tow Ready J-Pin, as well as the Barrel Lockset for 2 inch trailer hitches. 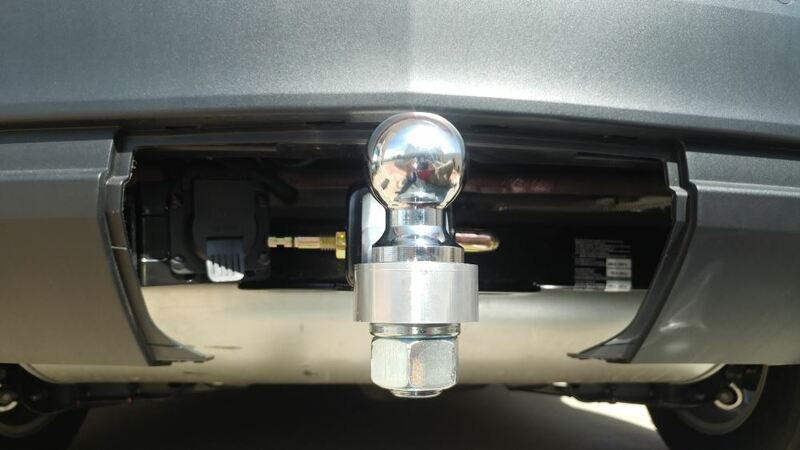 The J-Pin is going to secure your hitch mounted accessory to your vehicle. 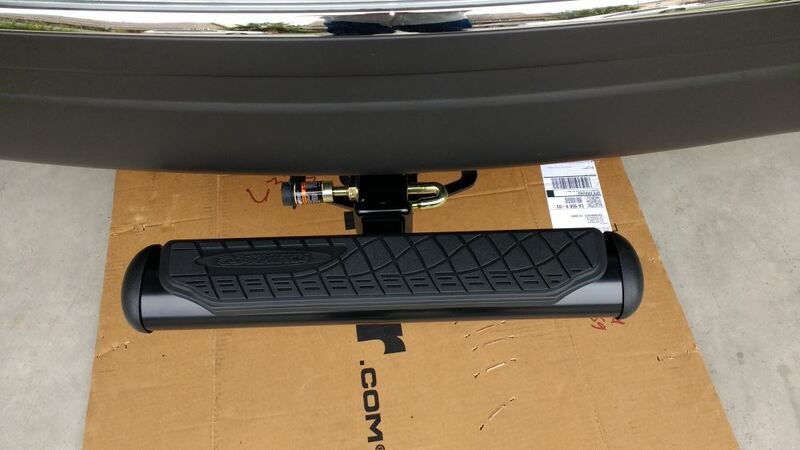 Once this is installed, it's also going to reduce the vibration from within the hitch. Now this is going to be made from a steel construction, has a really nice protective finish on it to resist rust and corrosion and it's going to be ideal for your hitch mounted accessories, especially when needing to lock them to your hitch for security purposes. 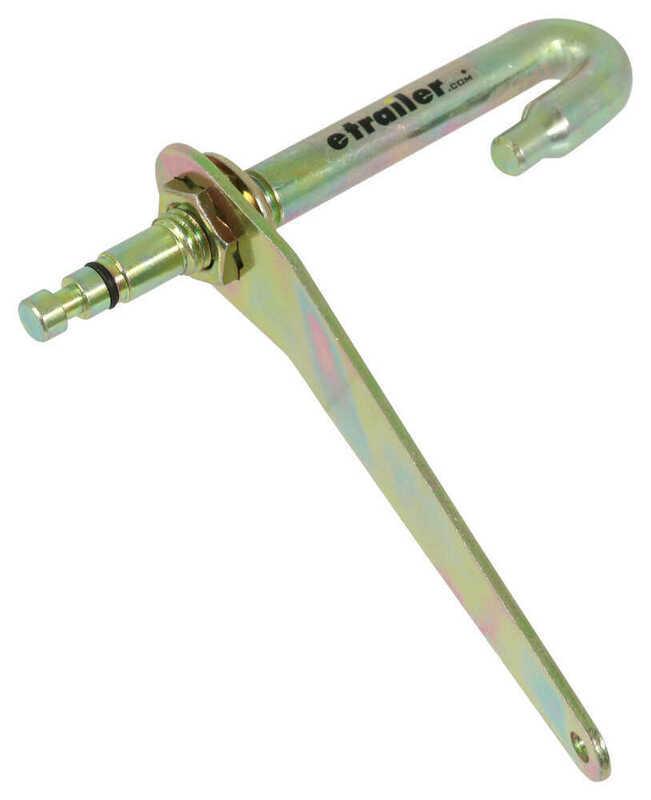 The threaded portion is going to help eliminate or drastically reduce the amount of vibration from within the hitch. This does require that your hitch is J-Pin compatible. 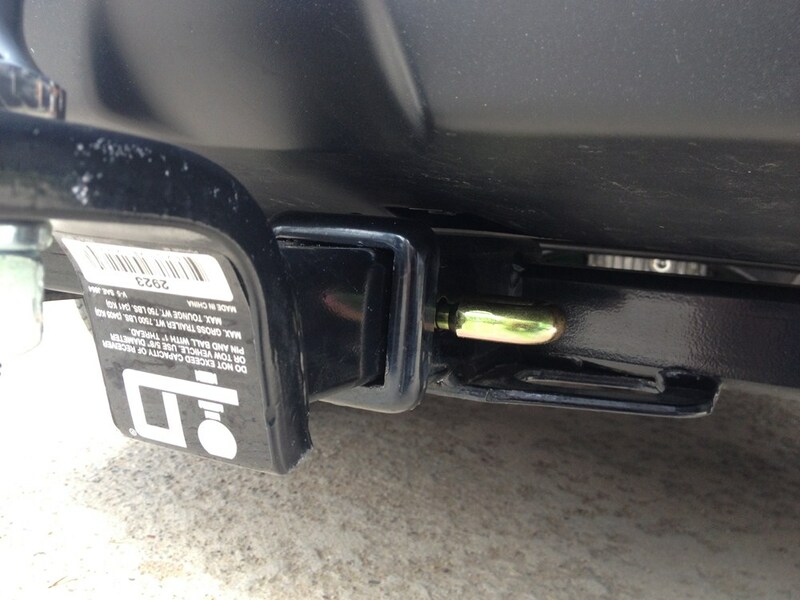 Your hitch must have two pin holes, the larger one being 5/8ths of an inch for the larger portion of the pin. The smaller one measuring 17/32nds of an inch for the little nib here at the end of the J-Pin. It's going to come with the J-Pin, you're going to get the nut, which just threads onto this portion here once you have this installed through your hitch and accessory. It's going to come with a lock, just goes over the end there. That uses a ball barrel design, so it's got three little balls on the inside of this tube here. Once the lock goes around the portion right here of the pin, you push this down, it pushes those, the balls out into that location on the pin, so it engages and it will not come off unless you remove it with the key. It's a really nice secure lock that goes on the end of the pin and that's going to lock it to your hitch. You're going to get two keys as well as the included wrench to tighten down the nut. The lock has a nice little dust cap on it that goes over the lock core, keeping out any dirt or grim from entering the body of the lock, so that it's going to be protected from rust and corrosion as well. Now this will work with hollow or solid shank ball mounts and hitch accessories. A few measurements to go over with you real quick. The overall length with the lock installed, that's going to give us a measurement of 8 5/8ths of an inch. If we take the lock off, the overall length of the pin is now going to measure 6 3/4 of an inch. From the end of the pin to the threaded portion, measuring here at the top of the threaded portion, that' going to give us a measurement of about 2 1/2 inches. Then from this point here on the J portion of the pin to the very end of the pin, that's going to give us a measurement of about 5 1/8th of an inch. 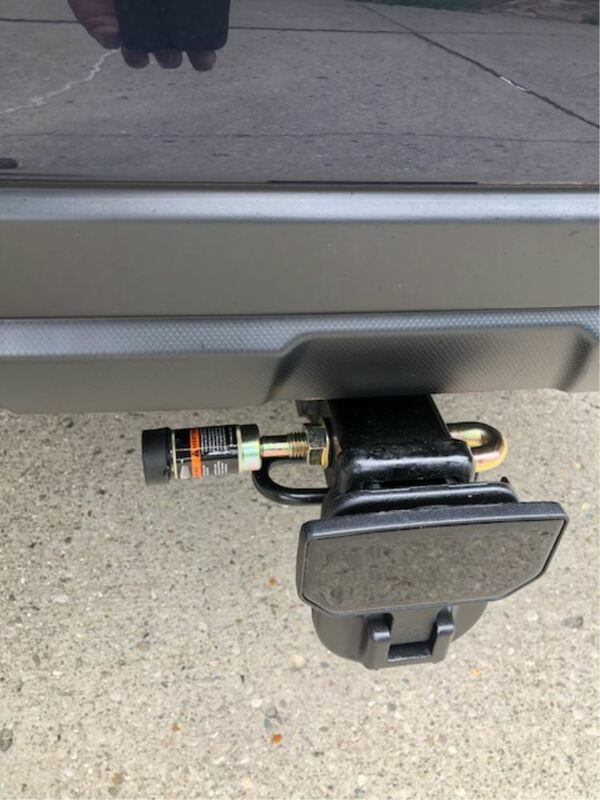 Now I do want to go ahead and show you how this would install in your hitch. I have a J-Pin compatible hitch here today, as well as a hollow shank ball mount. 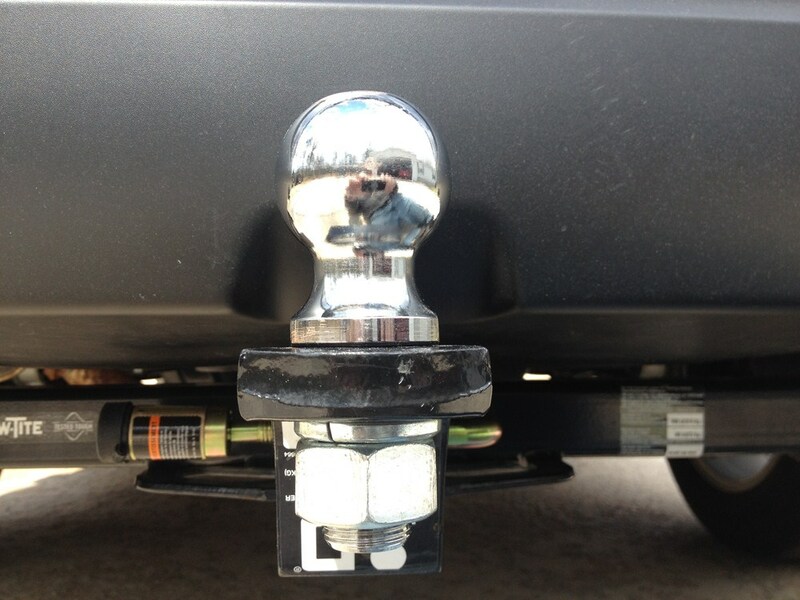 We're going to place our ball mount inside of our hitch. Then we're going to line up our pin holes and we can simply take our J-Pin, place it through and I'll turn it sideways so you can see how that engages both pin holes. Just like that and then on this side, we need to install the nut. It's always nice to go ahead and get this as tight as you can by hand and then on a majority of applications, you'd be able to use the included wrench. 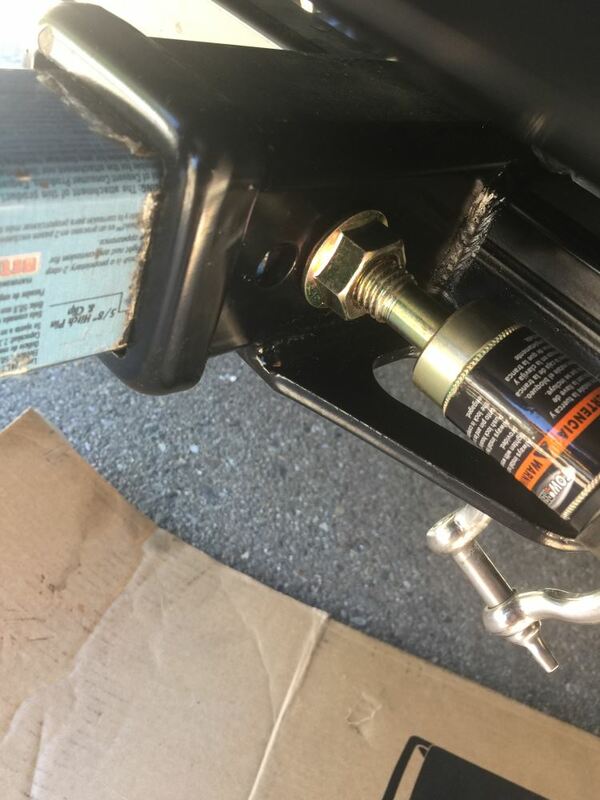 On this particular hitch, it does not give us enough clearance to use that wrench and so we're simply going to use a 15/16th inch socket with a wrench, just to go ahead and finish tightening that down. Now without it tight, you can see, I'll back this up just a little bit. You can see that we have a lot of play within the hitch. Now with it all tightened down, you can see that pretty much all of that play has been removed, and that's going to drastically reduce the vibration that we normally experience within the hitch. Once you're at this point, all we have left to do is to install the lock. It simply goes onto the end of the pin and you push this portion down to engage it and it's going to be locked on there. All you have to do is close the dust cap and everything is set to go. That's going to do it for our review of part number 63201. 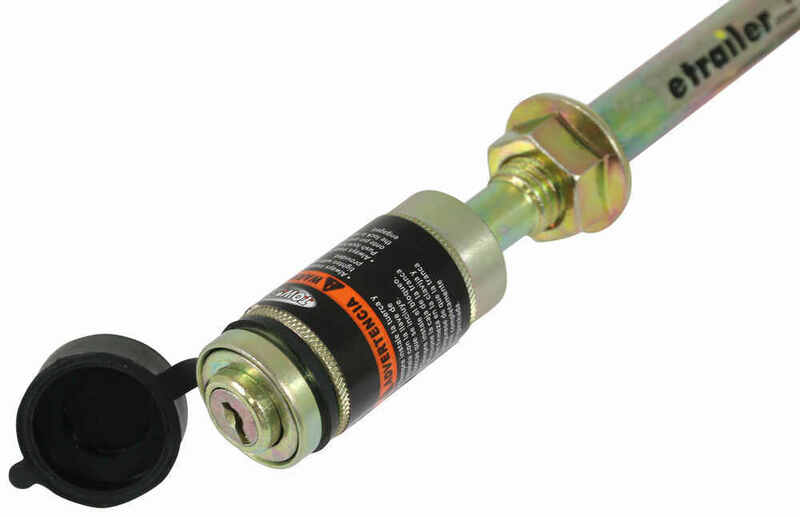 This is the Tow Ready J-Pin for 2 inch trailer hitches. 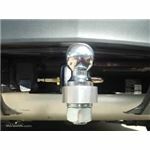 Order: RelevanceNewestRating - High to LowRating - Low to High Tow Ready J-Pin locking anti-rattle device for 2" trailer hitch receivers. 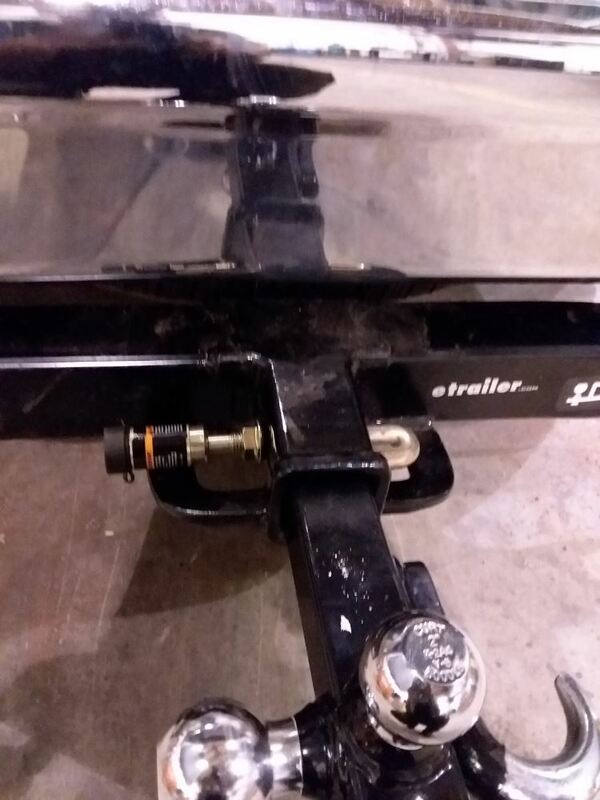 Trailer Hitch and light assembly are working just fine .. a great addition to the Subaru Outback and you a a very popular person when you have an all wheel drive with a trailer hitch .. renting log splitters .. garden trailers, for pine straw southern thing .. and of course trailering our 14 sailboat to the lake. 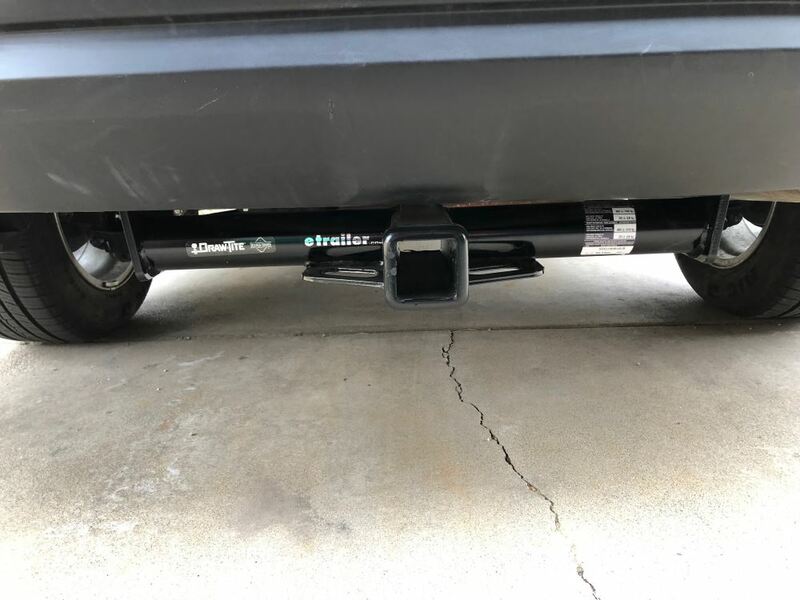 I have a friend with an Outback and I gave him standing offer to install a hitch if he wants one .. we will see. Thanks for the great products and helpful instructional videos Best to you in the New Year. Great product, the only fault is the cap fell off the lock. Wish I could get another one, other than that it is great. Product behaves as promised. Hitch now much quieter. Works well every time I use it. Very pleased. Parked in many motel parking lots with high value electric scooters attached - nothing stolen! The proof is in the pudding. $37.99. I have attached a link below for the locking pins. The two pin holes that you are seeing, on Draw-Tite, Reese and Hidden Hitches are not what you think. They install another, smaller hole, other than the receiver pin hole for the J-Pin anti-rattle device. The part number is Tow Ready # 63201. 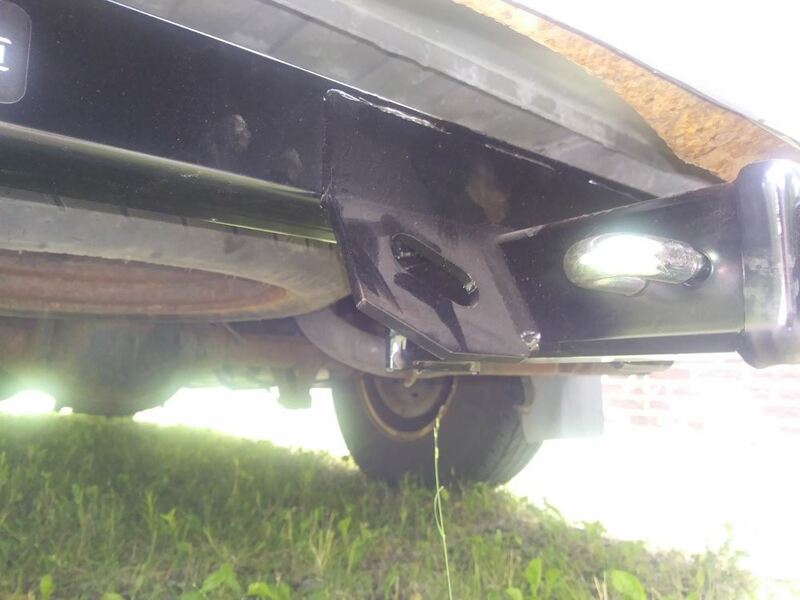 The standard pin hole depth on a Class III hitch is normally 2-1/2 inches from the center of the hitch pin hole to the face of the receiver. 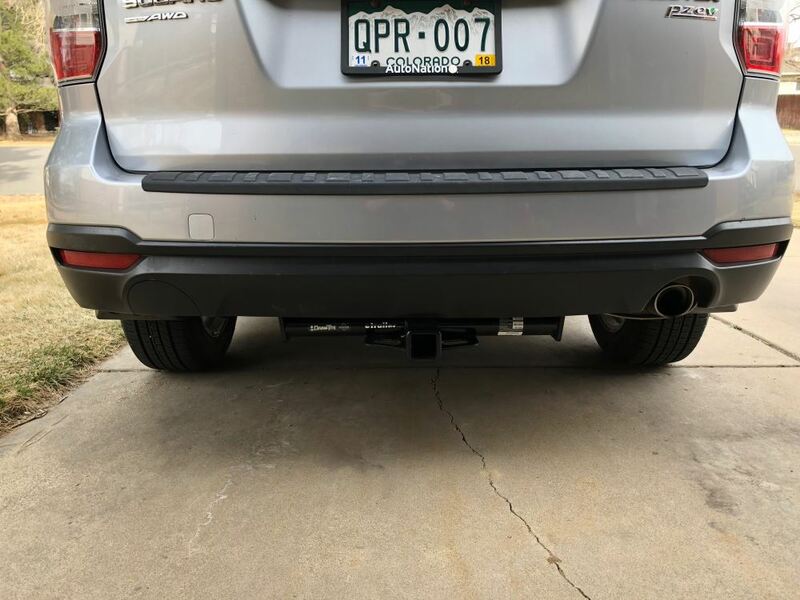 This is not a hard and fast rule and may be slightly different between hitch models and manufacturers. Because the shank is solid, I don't offer an anti-rattle lock that would work. 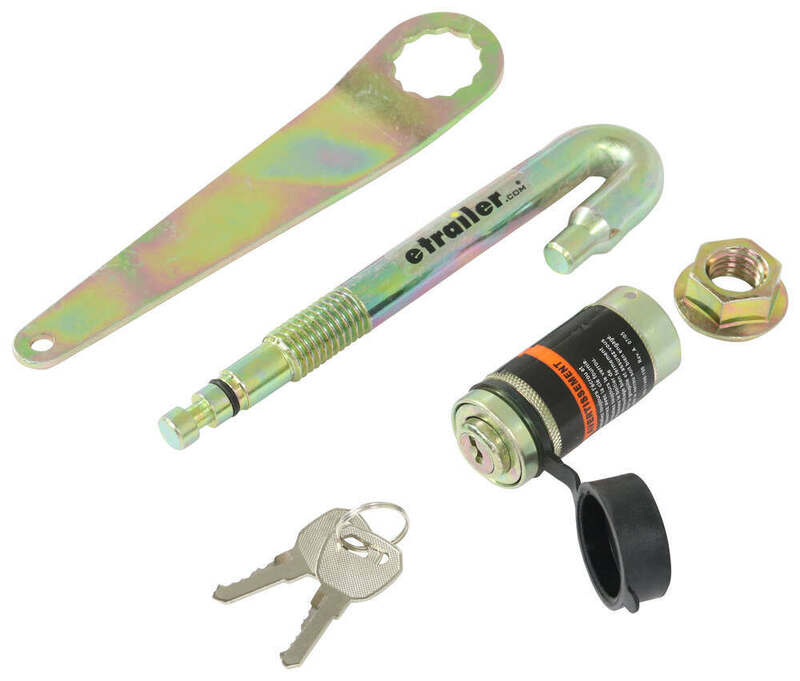 You could use a hitch lock like part # 40107 and an anti-rattle device like part # RHSB. If you're using a Draw-Tite or Hidden Hitch that has the smaller, extra hole in the receiver tube next to the hitch pin hole, (see photo) you could use the # 63201 locking hitch pin that would also keep the shank of the # D210 moving around in the receiver tube. Draw-Tite trailer hitch # 76031 is a Class III hitch with a 2 inch receiver which means it has a 5/8 inch pin hole diameter. We have numerous hitch locks that will fit but the most popular is DeadBolt lock # 7683. If you are looking for an anti-rattle style lock this hitch is set up for the J-pin lock and anti-rattle device # 63201. 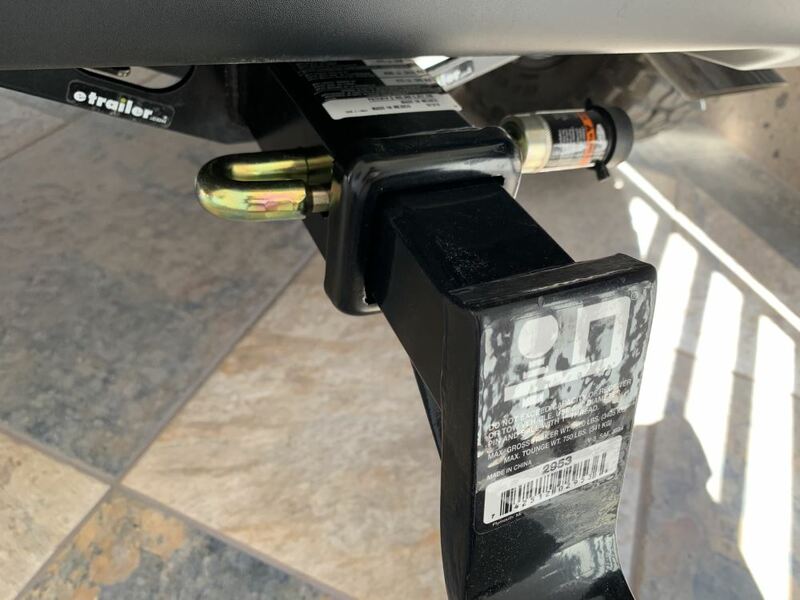 On the Hitch Extender for 2 inch Trailer Hitches - 8 inch Long, # 80307, the distance from the center of the hitch pin hole in the receiver back to the shank is 4-1/8 inches on the outside, 3 inches on inside. There is also a smaller hole nearer the receiver opening that is meant for a J-Style Anti-Rattle hitch pin like the Tow Ready J-Pin Stabilization Pin and Barrel Lockset for 2 inch Receivers, # 63201. 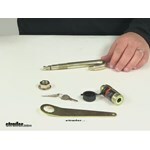 I have included a link to a video that features this lockset below. Yes, Draw-Tite trailer hitch # 76227 for your 2015 Subaru Outback is compatible with the J-Pin lock # 63201. I have linked a video review of this lock for you. Sounds like you have a hitch that is set up for a j-pin style of anti-sway like the part # 63201. 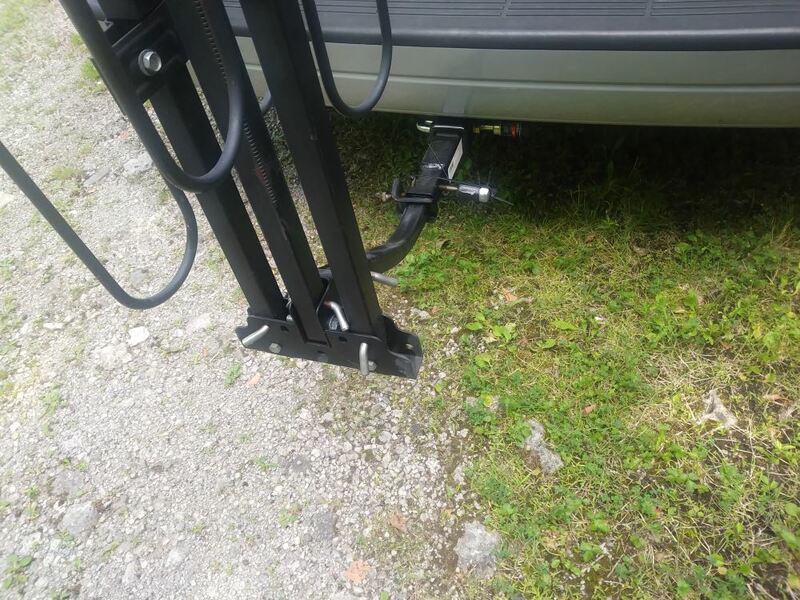 The rearmost hole on the hitch opening will be a little bit larger and that is the correct hole to use for the hitch pin of your bike rack. Most anti-rattle devices for bike racks are specific to that manufacturer and model of bike rack. If you email me back with the bike rack you have I can see what we offer that would work. I spoke with my contact at Reese about weight distribution and anti-rattle devices. He stated that the use of an anti-rattle device is permissible and cited the Tow Ready J-Pin Stabilization Pin and Barrel Lockset, # 63201, as the type of anti-rattle he would use. I have included a link to a video review of the J-Pin for you to view.